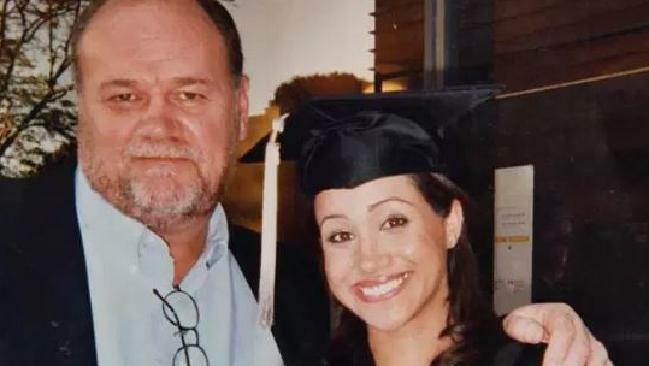 Thomas Markle with his daughter, Meghan the Duchess of Sussex. 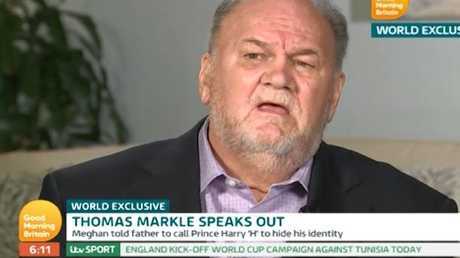 THOMAS Markle has left his daughter no choice. He may be "hurt," as he claims. He may feel his daughter is ignoring him. And he may be genuine - though somewhat melodramatic - when he says she'd be better off if he were to die. But the father of the newly titled Duchess of Sussex has failed so spectacularly in being the sort of parent she needs that he has only himself to blame if she never sees him again. Following Markle's meandering and self-pitying rant in the UK's Mail on Sunday yesterday, in which he manages to insult not only his daughter, but Prince Harry and the Queen to boot, Meghan's only option is to give up on the dad she once loved. 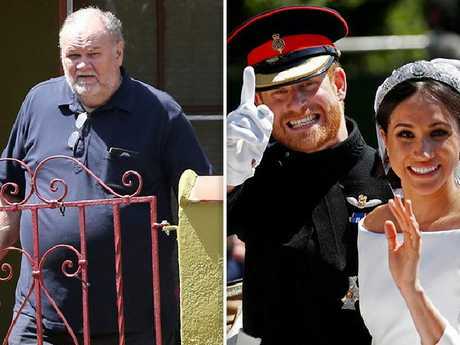 Thomas Markle and, at right, Harry and Meghan on their wedding day. Consider her choices: If she does fly to Mexico to reunite with her father she runs the risk that anything she tells him, he'll blab to the press. Pregnancy plans, the workings of the royal family, details of her new life, her happiness or otherwise, are no longer conversations she can share with the man she says she's always cared for. Conversely, if she cuts him off she'll be portrayed as hard-hearted and anything but the humanitarian she professes to be. Yet despite what commentators are suggesting, it's not Meghan who has turned her back on her dad. Rather, he has betrayed her not once, but time and time again as she tries to build a life with the man she loves. 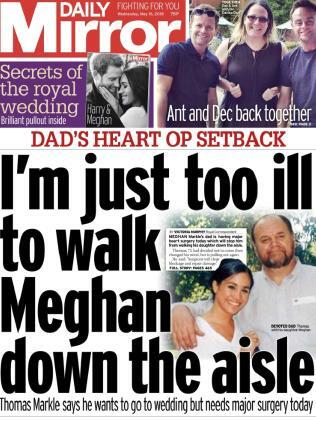 A parent is always a parent, and so it's incumbent on Markle to step up and be a dignified and protective father - not a headline-seeking traitor to the daughter he professes to adore. He may be a "lonely and vulnerable" man as some are claiming but, at 74, he has sufficient wisdom to know that loyalty and love is what Meghan most needs right now. Instead, he colluded with paparazzi to apparently improve his image, deserted her at the aisle, went on British television where he revealed his private conversations with Prince Harry and then claimed his daughter looked miserable in her new role and was sporting a "pained smile". But it's his latest outburst which will prove the nail in the coffin. Markle’s health problems dominated the media. The retired award-winning Hollywood lighting director claims Meghan has changed her phone number, hasn't spoken to him for 10 weeks and has a "sense of superiority". Further, he fears his daughter won't let him see future grandchildren, says he "doesn't care" if Harry never speaks to him again and criticises the Queen for meeting with Donald Trump. "Who cares these days about a dusty old crown?" he adds, showing a breathtaking lack of respect for the 92-year-old woman who has reigned for 66 years with dignity and fortitude. What's more, he moans that he doesn't know where to send a birthday card to Meghan, who turns 37 this Saturday. 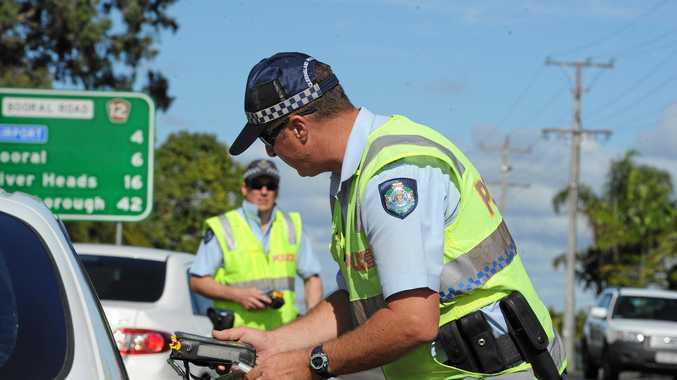 Honestly, could the man be more self-serving and insensitive? Meghan doesn't need a birthday card. What she needs is a dad she can depend upon. No matter that he's not sophisticated or media-savvy. He can be idiosyncratic and awkward and shy and unsure of himself in the spotlight he finds himself in. But he is her dad, and to that end it's his job and his duty to have her back. "No comment" is the easiest comment to make and the more you say it, the more likely the media will leave you alone. Take Kylie Minogue's parents - they've never said a word about their famous daughter and these days most journalists know not to even bother to contact them. Markle could've done likewise. He could have asked Kensington Palace for advice and they would've happily given it to him. They would've flown him over to see his daughter and meet the Queen and he might've enjoyed years of delighting in his daughter and the family she's likely to have. Instead, he's put his feelings first without a thought for hers. Of course, some have taken the opportunity to criticise Meghan, urging her to contact her father and chiding Prince Harry for not meeting his new father-in-law. Granted, a pre-wedding meeting would've been prudent but we don't know if Markle himself was an obstacle to that happening. In any case, he's proven himself no better than Meghan's ghastly half-sister Samantha Grant and half-brother Thomas Markle Jr.
Markle used to call his daughter "Bean" because when she was a little girl she loved Jack and the Beanstalk. Now he has only himself to blame for being banished from her real-life fairy tale. Follow Angela Mollard on Twitter @angelamollard.